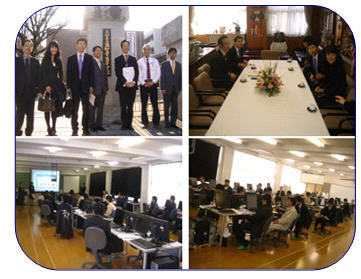 We hold the V-CNC & Exam-CNC& V-MECA seminar for teachers in Japan. 23 teachers from several schools took part in this seminar. We introduced V-CNC & Exam-CNC & V-MECA functions, usage, how to use, how to apply for teaching in this seminar. Also, Korean teacher of Gyeonggi Mec-Tec. High school addressed the subject of 'The trend and vision of Korean a technical high school education’.